News &dash; What is Air Conditioning? 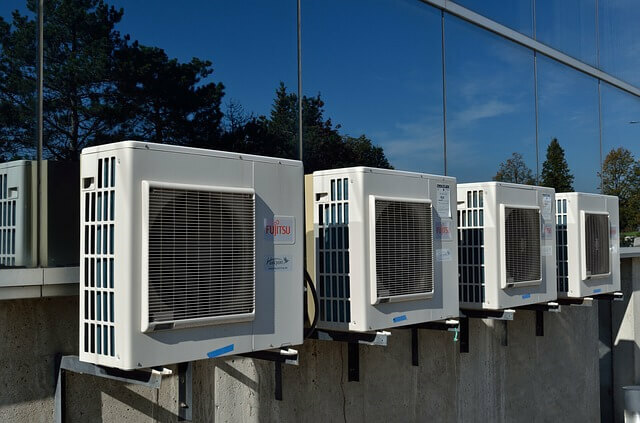 As one of Hull and East Yorkshire’s premier air conditioning specialists, we help businesses from a huge range of sectors to keep their premises cool, comfortable and productive. Established in 1982, we’ve installed our systems in independent stores and popular supermarkets, schools and universities, hospitals and laboratories, and so many pubs, bars, restaurants and hotels that we lost count years ago. Air conditioning is the system for controlling the temperature and humidity of the air inside a building. You probably realise that it’s been around for a while, yet it might surprise you to hear that it has a history spanning many centuries. The roots of air conditioning can be traced all the way back to second century China, although this ancient manually powered fan was a far cry from the sophisticated systems that Airkool installs on a daily basis. The first modern air conditioner was invented by American engineer Willis Haviland Carrier in 1902 as a means of solving humidity issues at a printing facility. Fast forward to 1933 and the Carrier Air Conditioning Company had taken these initial designs and significantly enhanced them to create a far more effective unit, which was also adopted by subsequent manufacturers. Today’s air conditioners are even more complex, incorporating processes such as vapour compression, electronic sensors and, of course, energy efficiency – a major factor for modern businesses in creating a comfortable temperature. The result is a range of air conditioning solutions for all types of commercial premises, allowing us to customise the project to a surrounding’s specific requirements. For instance, whilst a coffee shop will simply want a cool breeze for its customers during summertime, a data centre will require a set temperature 24/7 and all year round to ensure optimum performance. Due to there being an enormous variety of working environments, air conditioning systems come in all shapes and sizes. From small, single split units right through to expansive VRF installs, which consist of an outdoor condensing unit and multiple indoor units, the versatility of our product portfolio knows no bounds. What’s more, the beauty of our service is that you don’t need to know a thing about air conditioning, as our experts will visit your commercial space, analyse its layout, talk to you about what you want to achieve, and then suggest the most efficient and cost-effective solution. Now that’s a breath of fresh air! In our next blog post, we’ll explain how the process of air conditioning works. If you can’t wait till then, feel free to call us today on 01482 371888 or email [email protected] to find out how our engineers can help you to keep your cool.